Bernard Cornwell grew up in Thundersley and went to school here. Does that make him a local author? Read his story in the forthcoming ‘Thundersley and Daws Heath – A History’, published by the Hadleigh and Thundersley Community Archive. He has read and agreed to three paragraphs that might be of interest to him and he would not change anything. He has also supplied what he called a ‘puff’, a line of praise for the cover of the book. I did not even know what a ‘puff’ was until I looked it up. Thank you, Bernard C. His latest book is a first for him, not a story but a history of Waterloo. Good luck. 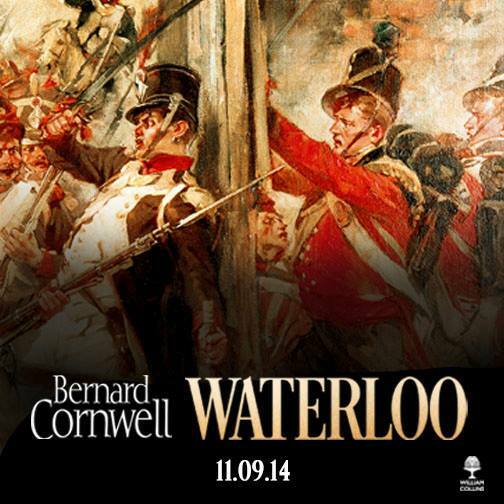 Out soon: Bernard Cornwell's story of Waterloo. I have just read this book and very good it is too! There is a memorial stone outside North Benfleet Church to one of the survivors. At the entrance to the 16th century porch is a memorial stone inscribed “sacred to the memory of John Cole, a soldier of Waterloo”. At the famous command “up guards and at em” he was wounded by a musket ball, but kept on going into the thick of battle. He survived and died 21 years later with the musket ball still in him. I have a photo of the stone if anyone is interested.